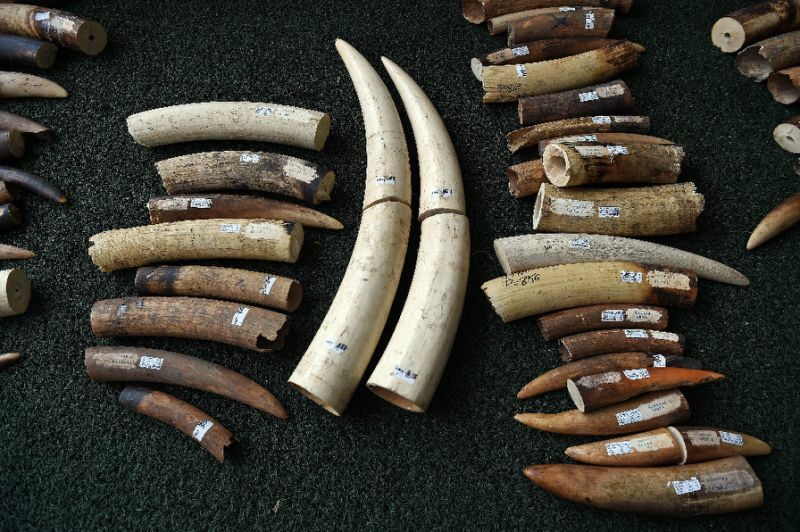 Two tons of ivory hidden in a timber shipment from Mozambique has been seized in Vietnam, customs authorities have said, the second large haul of the illegally-trafficked product in a week. Although ivory trade is banned in Vietnam, the country remains a top market for ivory products prized locally for decorative and medicinal purposes. It is also a busy thoroughfare for tusks trafficked from Africa destined for other parts of Asia. Officials initially said they found 500kg of ivory in two crates of timber from Mozambique at a Ho Chi Minh City port, but later updated the figure after a more thorough search. A statement from the official newspaper of the Vietnamese Customs Department confirmed more than 2,000kg of elephant tusks were seized. “This shipment would not have been discovered without professionalism and vigilance,” the newspaper quoted the deputy head of the customs department, Hoang Viet Cuong, as saying. The latest catch follows last week’s discovery of 300kg of elephant ivory in Hanoi’s airport, where officials found tusks from Nigeria falsely labelled as glass. Vietnam outlawed the ivory trade in 1992, but shops still sell ivory dating from before the ban and weak law enforcement has allowed its illegal trade to persist. A two-week long survey last year found more than 16,000 ivory products available in Hanoi, according to The Convention on International Trade in Endangered Species of Wild Fauna and Flora (CITES). Meanwhile, conservation group Save Vietnam’s Wildlife said Friday they received 61 rescued pangolins that were being trafficked, three of them dead, from police in the northern Thai Binh province. The reclusive creatures, often called scaly anteaters, are the world’s most heavily trafficked mammal, sought after in Vietnam and other parts of Southeast Asia for their meat and scales used in traditional medicine. Vietnam is hosting an international conference on illegal wildlife trade from November 17 to 18, which will be attended by Britain’s Prince William, who has repeatedly spoken out against wildlife trafficking. Opinion: Is Asean experiencing a mid-life crisis?